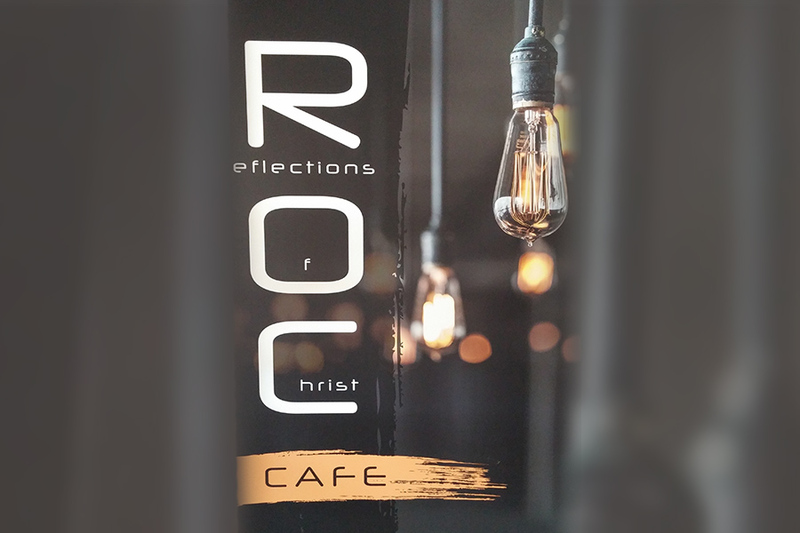 Reflections of Christ Café, or ROC Café, operated by Patsy Rodriguez, is a place to come and relax and enjoy your favorite drink and some awesome praise and worship music before and after each service. We serve both hot and cold specialty drinks, Coffee, Hot Chocolate, Latte’s, Frappuccino’s, Smoothies and more. You will find the café on the second floor of Desert Reign Church, all the way down at the end of the hall. Come in and enjoy a nice refreshment and the relaxing atmosphere.